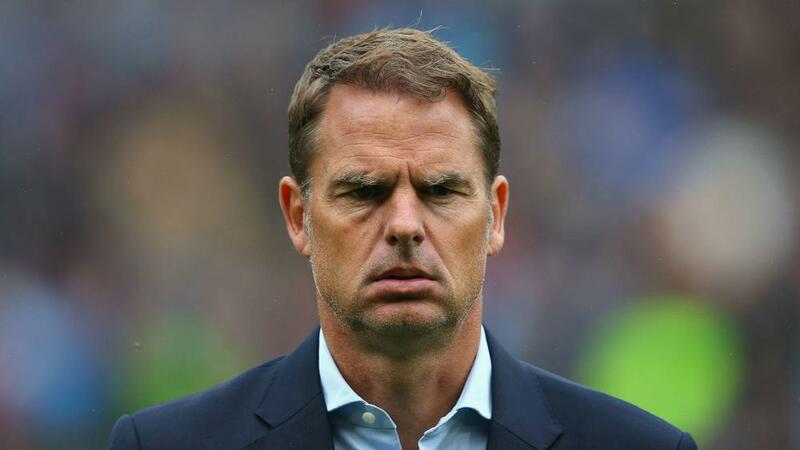 Former Ajax, Inter and Crystal Palace manager Frank de Boer has been appointed as the new head coach of Atlanta United, the MLS Cup champions have confirmed. The Dutchman has signed a 'multi-year contract' with the team and will succeed Gerardo Martino. De Boer won four successive Eredivisie titles during his time in charge of Ajax, but struggled to replicate his success during a disastrous three-month spell at Inter in 2016. He took charge of Palace for the 2017-18 campaign, but was sacked when the Eagles lost their first four Premier League games. However, he has now been handed a chance to revive his career in the United States, and Atlanta president Darren Eales is delighted to have secured De Boer's signature. "Frank de Boer has a distinguished background, both as manager and player, and we're ecstatic to welcome him to our club," Eales told Atlanta's official website. "When we began our search, we were determined to find someone who fit all of our criteria. In addition to meeting our club's core values, Frank's philosophical views for how to play unequivocally aligns with ours. "He also has a proven track record of developing youth players, with many of them going on to star for top European teams."